When I lived on earth I worked as a doctor. I also had a husband and children that I loved very much. When I had a new baby growing in my belly I became very sick. I told the doctors to make sure my baby was safe. Just a few days after my beautiful baby girl was born I went up to heaven to be with Jesus. 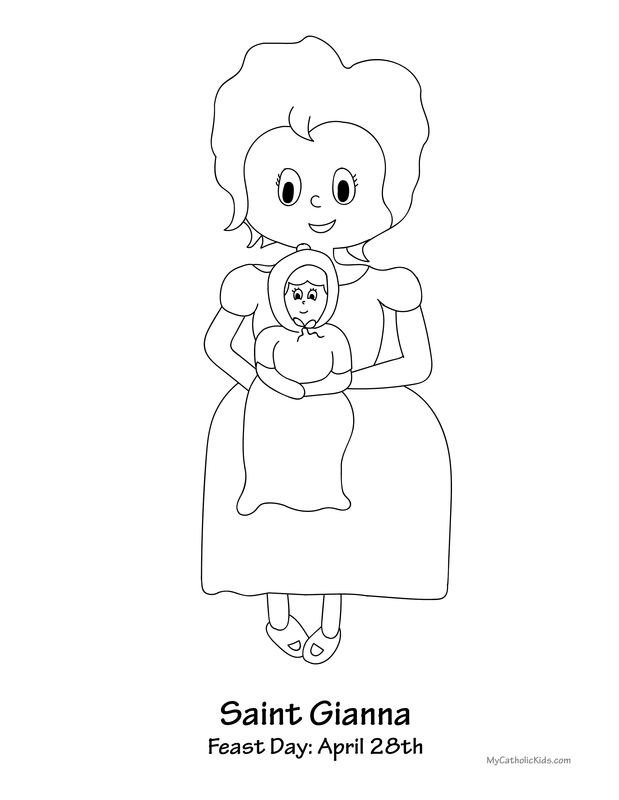 You can help your children celebrate her feast with our Saint Gianna Beretta Molla magnet and saint stickers! 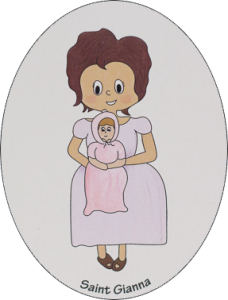 We have a whole blog post about Saint Gianna too!